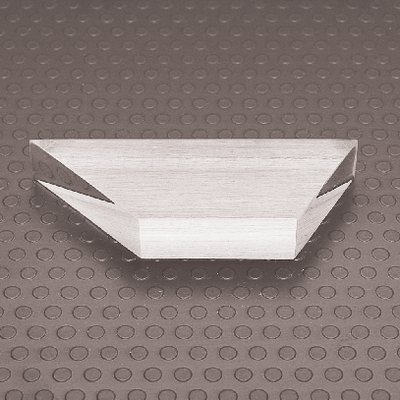 A clear acrylic trapezoid with a 45°, 60°, and parallel side featues one large flat surface, and is frosted to enhance visibility. The two bases measure 89 mm and 40 mm. It is 15 mm thick and 32 mm wide.